30 years ago, in a little garden shed in the south of England, Lush co-founder Mo Constantine created the bath bomb: an invention so iconic, it’s changed the way we bathe forever. 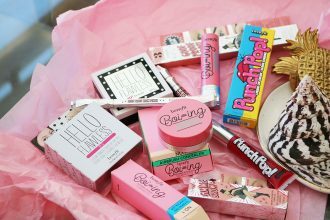 To celebrate three decades of sparking joy with fun, fizzing baths Lush recently unleashed THEIR BIGGEST BATH BOMB LAUNCH EVER! 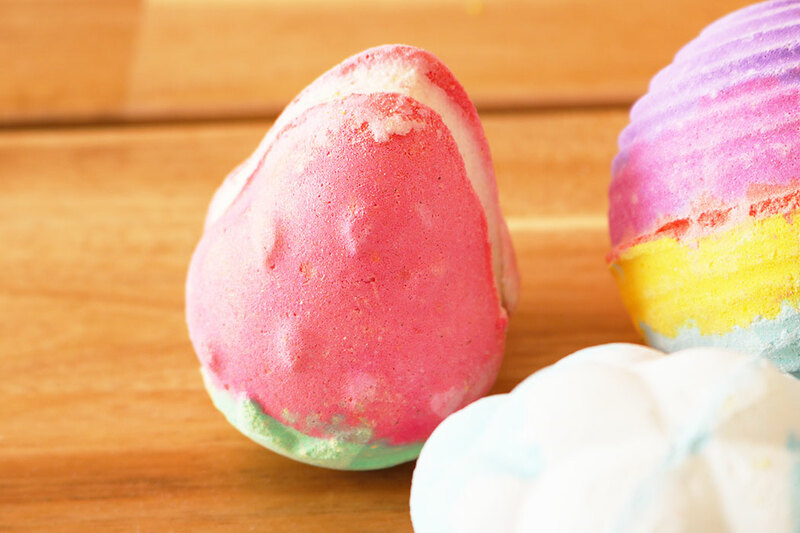 This has just seen a whopping 54 new bath bombs (all vegan and handmade) launched, some of which are completely new inventions with unique experiences to discover, while others feature fan fave scents and blasts from the Lush past. Lush shops worldwide will be curating their own bath bomb ranges for the first time and choosing from the 54 exclusive products (previously only available in the bath bomb concept shop in Harajuku, Tokyo) to sell in their own shops! Depending on their size, each shop will have a different selection, with the largest Lush shop in the world in Liverpool hosting the full collection. We just had to show you a peek at some of the amazing new Lush bath bombs that have made their way into stores and online now! You’ll be absolutely spoiled for choice and there are some real cult-classics here already. 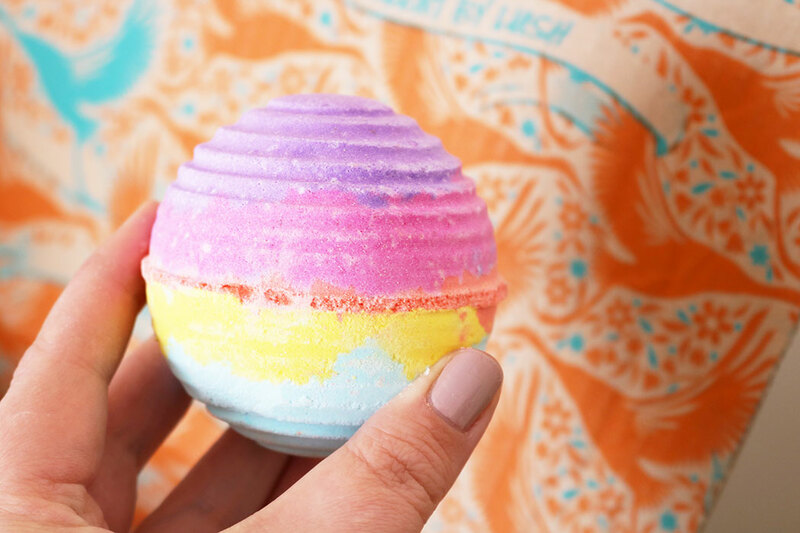 Here are just a few of our top picks from the whopping 54 new Lush bath bombs! The Lush Groovy Kind of Love bath bomb is the perfect bath bomb for the ultimate rainbow coloured bath. Rosewood, bergamot and ylang ylang oil, will lift your spirits and leave your skin toned, balanced and refreshed. 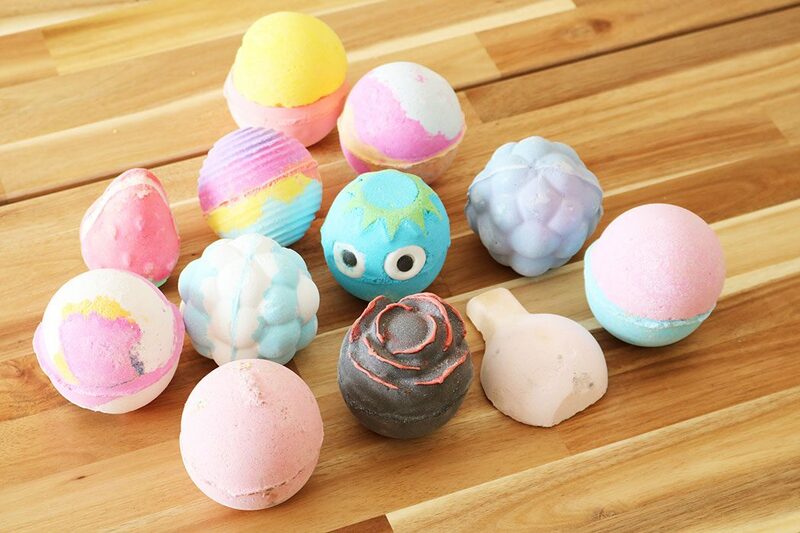 Perfect for a fun and fresh bath this spring! 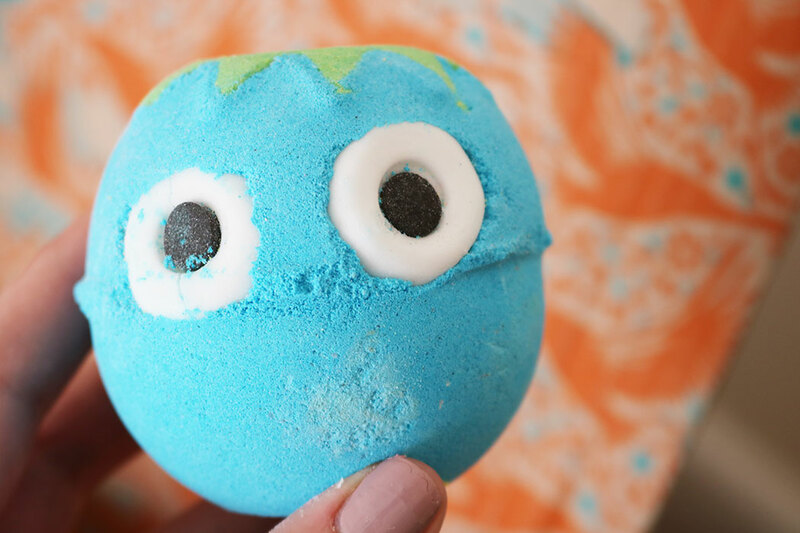 The Lush Kappa bath bomb is seriously cute! As the shell of the Kappa cracks open, you’ll find yourself soaking in a sea of oakmoss and lemon oil. Bubbling into comforting cucumber and coconut, this will leave you in gloriously green/blue waters to relax and enjoy! 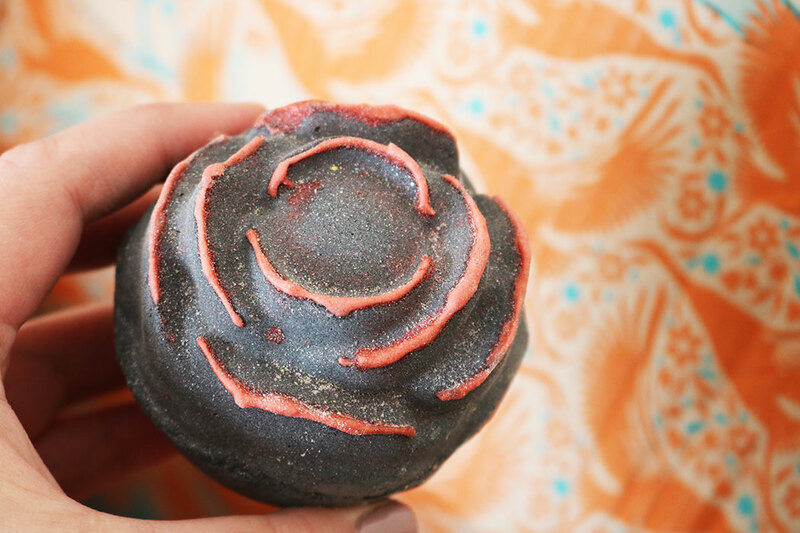 The Lush Black Rose bath bomb is something incredibly dark and dramatic. It is everything you expect and more! This Turkish rose and lemon love story will have you falling head over heels for bathing all over again. This one turns your water a delightfully dark black/red. Your waters will be glitter packed and perfectly relaxing. The Lush Strawberries and Cream bath bomb is everything you need in your bath on a summer evening! Use whole, or twist in half to share with a loved one. 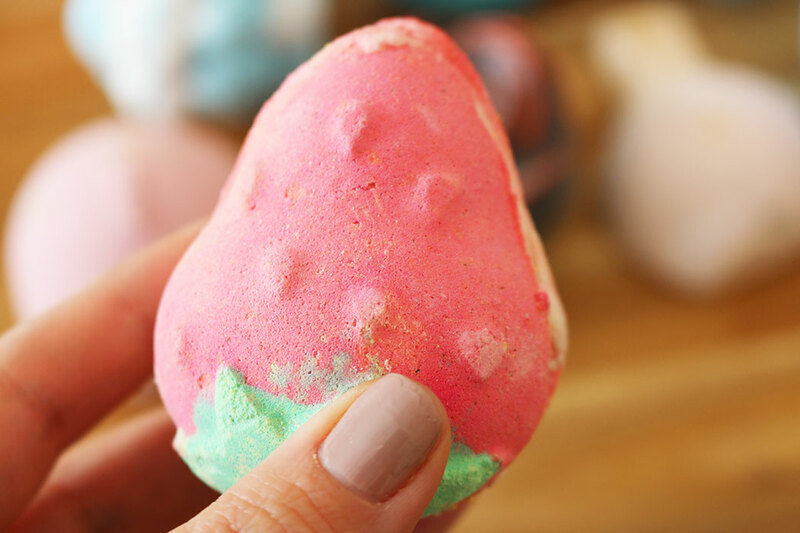 Fruity strawberry powder freshens and tones, while the creamy filling in this sandwiched bath bomb melts, leaving behind deeply softening water. 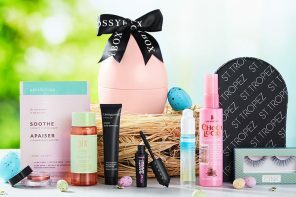 Previous articleGlossybox April 2019 | Take A Peek Inside! Look Out For The Benefit Hoola Ice Cream Van!